Vodka, known for its clear color and lack of flavor, finds its way into many popular cocktail drinks. 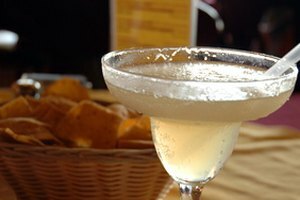 If you need a new source of alcohol or wish to omit alcohol entirely, you can easily substitute an alternative beverage for the vodka in a cocktail drink. Vodka serves as a unique alcohol because it does not add flavor to mixed drinks other than the taste of alcohol. Though you can substitute any other hard liquor for vodka, it will alter the taste of your drink. Substituting gin gives your drink a fresh, pine taste. Gin, which is made from juniper berries, is often found in lime and tonic drinks, and should be substituted if one of these are your main ingredients. Tequila, light in color, offers a peppery aftertaste. Made from the cactus plant, tequila is well-known for the margarita and tequila sunrise, and works in sweet and tart drinks. 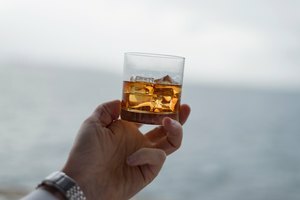 Whiskey and rum have their unique, strong flavors they add to a drink. Rum, which is made from molasses, has a strong alcohol taste and a slight brown-sugar flavor. The spirit is found in both fruity and soda drinks, often with dark sodas or strawberries. Whiskey, which is made from barley or rye, comes in many styles and is typically single or double malt. The spirit in often combined with coffee, vermouth, triple sec and citrus flavors. If you want to keep your drinks alcoholic but want to reduce the alcohol content, you can use schnapps or liqueur instead of vodka. Most of these drinks have a sweet flavor and they are typically found in fruity varieties. 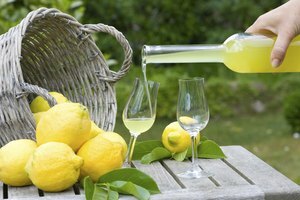 If you do not want to overpower the taste of your cocktail, use a type of schnapps that matches the drink flavor. Add orange schnapps to orange juice, for example. Alternatively, substitute schnapps or a liqueur for both the vodka and sweetener of a drink. For instance, remove the grenadine and vodka from a drink and replace it with cherry liqueur. If you wish to make "mocktails," or non-alcoholic drinks, you must use an alternative to vodka. Because of vodka's mild flavor, you can often omit it completely or replace it with water. In a vodka cranberry, you can omit vodka in favor of all cranberry juice. However, omitting vodka completely sometimes leaves your drinks tasking like common juices or sodas. 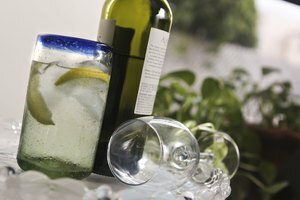 Keep drinks unique by using mild beverages such as ginger ale, tonic water or apple juice. If you want to give your drink a stronger flavor, use a potent fruit juice, soda or syrup. 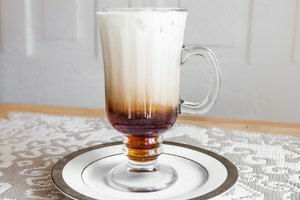 Try adding orange soda, pineapple juice, lychee nectar or chocolate syrup to your drink.